Anwar Barrow, son of Prime Minister and Minister of Finance and Economic Development Dean Barrow, has confirmed to Amandala that he has assumed the position of chairman of the executive committee of Belize Telemedia Limited (BTL), effective April 1, 2014. Anwar Barrow succeeds Net Vasquez, who will continue serving as chairman of BTL’s board of directors. Barrow told us today that the executive committee is a subcommittee of the board of directors, which now has 8 members since the departure of Sir Manuel Esquivel. 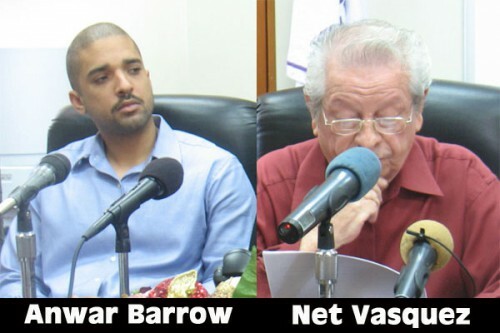 Meanwhile, Barrow indicated that Rafael Marin, Chief Information Systems Officer, is acting in the post recently vacated by Karen Bevans – who may shortly be assuming the post of director of the Belize Tourism Board. Barrow said that the news of the change in the chairmanship became public after the company’s first ever management call via teleconference. Taking advantage of this modern communications tool, BTL was able to bring together over 60 of its managers from around the country via a virtual meeting tool which they hope to use more regularly, the chairman of the executive committee indicated. Other members of BTL’s executive committee are Dr. Colin Young, the Chief Executive Officer in the Ministry of Energy, Science & Technology and Public Utilities, and Ambrose Tillett.